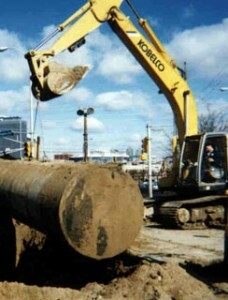 Midwest Environmental Services UST services offer turn-key management for underground storage tank projects. This includes an initial site investigation to determine the extent and magnitude of any leakage. Any materials remaining in the tank will be removed and disposed of at one of our permitted facilities. Tanks are purged, cleaned and removed from the site. Soil samples will be analyzed according to the specific guidelines established for the product previously contained in the tank. If contamination due to tank leakage is discovered, Midwest will offer the most cost-effective and environmentally safe options for soil excavation and/or in-situ treatment. Once the removal and closure is completed, our technical staff will complete the closure report and submit it to the proper agency.